There is also some irony in the situation – prime minister of a country with the largest number of world’s poor boasting about ‘money in the blood’ to the richest men of a country that has, in the post-war decades, made more money per capita than any other on the planet. This prime minister can be accused of many things but not of lacking in hubris unencumbered by learning and cultivation. One may wonder about something else too. The Indians may deserve their new prime minister and all his speeches – on the Independence Day, the Teacher’s Day and on all the other days. After all, they have elected him. But what have the Japanese done to deserve this? What forces them, despite the depth and dignity of their civilization, to lap up such crassness and banality? The answer can be given in one word – money. Japan would invest ¥ 3.5 trillion ($35 billion) in India in the next five years. Shinzo Abe, the Japanese Prime Minister, broke protocols to put on display his unhesitating respect for the man he had courted through the years when the West was reluctant to be seen in the latter’s company. Now was the time for the Japanese to reap the reward and the opportunity could not have arrived at a better time. Their economy has been in a prolonged slump and a large part of their formidable wealth is invested in China – increasingly an insurmountable adversary. Money is a strange bird. It goes into the enemy’s house if that is where it can lay eggs. But a friend’s house is always the preferred choice. It matters little if the friend is not exactly an epitome of culture and civilization. The same phenomenon has been on a more naked display back home. The uncouth brigands from the badlands of upstart capital, whether from Gujarat or from elsewhere, are not the only ones who decided early to clear the path to power for the new prime minister. Vintage industrialists known for reputable lineage and high culture – with original Picasso and Raza hanging on their walls and with butlers and cooks trained in Paris and Rome – also joined the bandwagon. Not only did they buy or pay news channels for manufacturing opinion, for creating frenzy favourable to the new messiah, for building up the image of the man and for destroying that of the competitors. They also came out in person to sing his praises – painting his ruthlessness as much-needed virtue of decisiveness and his schemes of state-sponsored accumulation of private wealth as the only road to development and prosperity of a nation. Even the most cultivated among the capitalists must focus primarily on the murky business of accumulating wealth even if it requires presenting diabolical demagogues as visionary statesmen. If money keeps coming, Picasso and Raza can always be acquired and culture can always be had. Such is the relationship between capitalism and civilization. A fuller answer to the question – why, under capitalism, do the sophisticates court the brutes – would perhaps require two words – blood and money. Of course, blood is to be talked about largely in a metaphorical sense, as in sweating or sucking it or as in having money in one’s blood, but a literal sense is not entirely absent, such as in spilling it. In fact, sucking blood on a sustained basis is not possible without occasionally, if not often, spilling it. Not everyone, however, who prospers by sucking blood, has the stomach to spill it. This is where a division of labour arises, especially under capitalism, between the sophisticates and the brutes, and this is why the former court the latter. Money, too, is being used here in a special sense. In its everyday meaning it is needed and used by everyone including those whose blood is sucked or spilt. In this sense money is not an invention of capitalism. But, there is another, rather special, sense which has become the core meaning and the ruling concept under capitalism. In this meaning money exists solely for the purpose of making more money. It may not be very wise or liberating to be caught in a blindly rising spiral, but this kind of money, otherwise known as capital, is not as foolish as it appears. It has harnessed entire humanity into a juggernaut from which it appears impossible to disengage, especially for those who are more likely to be crushed under its weight. The wag in the famous Jewish play, Fiddler on the Roof, says, “If the rich could hire the poor to die in their place, we the poor would make a good living.” The humour in the witticism is darker under capitalism precisely because it is that much closer to reality. Capital has been able to make the world go round for nearly half a millennium not because people are addicted to being exploited and violated. There is no natural propensity to make them toil hard to enrich the sophisticates and fall on their knees to bow to the brutes. The march of capitalism has been unstoppable, at least so far, primarily because capital has been successful in unleashing the productive forces and the creative powers of humanity like no previous system in history. Of course this success is soiled with injustice and brutality. Unprecedented prosperity has been created during recent centuries, but it belongs to a small minority. A vast majority reels under poverty and degradation. It cannot be said, however, that this majority, exploited and oppressed as it is, would like to go back to the life of a bygone era. Life may be hard but, on the average, is better than before. That is what makes it difficult to wean people away from capitalism. It is easy to fight its injustice, but difficult to outdo its success, especially when those subjected to the injustice are the ones whose life depends more desperately on ensuring this success. It would be wrong to think, however, that capitalism succeeds solely by the economic logic of capital. It needs for its survival the gargantuan edifice it has erected spanning the political, social, technological and military domains. Economics and politics are entwined root and branch; wealth and power feed on each other; conditions of profit are protected and expanded by violence. Not everyone may have money flowing in the veins, but blood and money, under capitalism, are inseparable nevertheless. Not every diamond coming out of Africa may be a blood-diamond, but every kind of money that takes the form of capital turns into blood-money, directly or indirectly. Joseph Schumpeter is credited with popularizing the term, creative destruction. It shakes the capitalist system periodically much like a gale helping trees shed dead leaves. He argued that something good can be discerned in the downswing of a business cycle that helps throw away the inefficient and spur innovation paving the way for the next upswing. Capitalism, however, is too rough a beast to follow the instructions of a refined professor. For it, destruction per se is good; destructive destruction is even better. Mountains of money are made in the act of destroying and even bigger mountains are made through the reconstruction that follows. Much of the prosperity of the West, particularly of the Americans, originated in the destruction of Europe and Japan during the Second World War and in the reconstruction of the same Europe and Japan in its aftermath. More recent times have witnessed a prolonged and lucrative destruction in a vast stretch of the planet covering countries from Pakistan in the east to Libya in the west – tragic and disastrous for the people in the region and elsewhere, but lucrative for the American capital and for the global capital in general. This long episode began with the Iranian Revolution, the Iran-Iraq War in which Americans were egging on and supporting Saddam Hussein, and the no holds barred western efforts to dislodge the Soviets from Afghanistan. The story has come a long way since then with many twists and turns. Assad of Syria and the new Caliphate of the ISIS are now the twin targets and the newest excuse. (As one American ‘security expert’ said on a television channel – we must have a Shia target too if we have to target the Sunni ISIS.) Who can, in all honesty, say that all this is genuinely a clash of civilizations and has nothing to do with blood-money? Hollywood action thrillers revolving around conscience-stricken rogue CIA operatives are a curious genre. They make surprisingly candid statements about the American establishment, even if in the end America comes out invariably as the land of the brave and the free. In one such movie (I watch too many to remember which one) an earthy fellow who is a CIA operative tries to bring his idealist colleague to senses by saying something like this – you must understand the game. We have to bring democracy to them, and we have to bomb the hell out of them to do so. Afterwards we do what we are best at – clean up and rebuild. On a more serious note, the Nobel winning economist Joseph Stiglitz – the other Joseph – reckoned that the “the true cost of Iraq war – quite apart from its tragic human toll – which the Bush Administration estimated at $50 billion” was sixty times larger. This was in 2008 when he came out with his book, The Three Trillion Dollar War, and this calculation was only about the junior Bush’s war in Iraq. One can imagine the full magnitude of blood-money spent or made (which is the same thing when it comes to wars under capitalism) during more than three decades of incessant wars in the region. Getting back to the Japanese, one will have to concede that they are no longer known for spilling blood. They have done their share in the past. At the end of the Second World War their own blood was spilt, perhaps more than what could perversely be called their fair share. This does not mean that they no longer need the machinery for spilling blood. That part is now done by others, mostly by the Americans who are the new brutes in the global division of labour. The Japanese and also the Germans – allies during the two World Wars and leading brutes of that era – are among the new sophisticates. One would be mistaken, however, to attribute to the Americans an exclusive monopoly of blood-spilling. They may be the biggest brutes on the planet but they outsource much of the actual job to others. They are able to do so because others have their own reasons to carry out the killings. In the so-called clash of civilizations, which is actually about three interlinked things – oil, Israel and world hegemony – and fundamentally about a single thing – money, Americans may have killed tens of thousands of Arabs, but Arabs have killed hundreds of thousands of Arabs. Who can say that this has nothing to do with the local rulers – the sheiks, satraps and mullahs? Who can say that these do not have diabolic designs of their own? Who can say that the rivalry, for example, between the Saudis and the Iranians in the modern times has nothing to do with the medieval Sunni-Shia divide and other civilizational maladies? It is distressing to note, more so for someone from a non-western society, that all the killing fields of the recent decades have been in those parts of the world where people had their own reasons – cultural, civilizational, religious, ethnic or otherwise – to indulge in slaughters and genocides. Writing about the 1994 massacre of Tutsis by the Hutus, Mahmood Mamdani went through a great deal of intellectual toil to find out why victims become killers. (He did not exactly phrase the question in this manner; the title of his book was, When Victims Become Killers.) The book has deep insights into this tragic and complex affair as far as it goes. But it may not have gone far enough. In answering such questions about most such episodes, and perhaps in the Hutu-Tutsi case too, one will have to go deeper into the cultural soil and farther into the historical terrain than place all the blame at the doors of colonialism and the formation of modern political identities. It may be hard to answer such questions at the deepest theoretical levels, but being alive to them can be of help at the practical-political level. It can help in appreciating complexities and in avoiding simplistic conclusions. Complexities may not always have their origins in a single source, and even when they do it may not be the most effective strategy to take all battles to the origins. To take a recent example, the American President has just announced (the announcement came on the anniversary of 9/11) that the United States would degrade and eliminate the ISIS. Among other things, it has drawn quick reaction from many of those who oppose American imperialism as a matter of principle. They appear to be equating it with any other act of imperialist aggression. This can hardly be taken as an example of discerning political judgment. If Americans are being forced to hit a demon that they might have created themselves, should one end up siding with that demon just because Americans are now on the opposing side? The brutes are courted by the sophisticates not always for the act of spilling blood. The former are useful in many other ways. For example, in most situations they can manage the political affairs much more effectively than the sophisticates. This is all the more true for a polity such as in India. The rough and tumble of mass politics in such countries requires having guts like the new Indian prime minister has. Those who have the stomach to spill blood are better equipped to manage democratic politics in such a society. Most of the political commentators and the entire “free media” have now undertaken the task of building up the new prime minister’s image as a statesman and a super-leader. They may no longer be inclined to recall all the deeds that have gone into the making of his political career. It would be erroneous, however, to trace all seeds of political success to the guts of a leader. Seeds of a kind require a certain type of soil to flourish. It is interesting to note the difference between the task of seeking a mandate from the people and the task of running the state for which the mandate is sought. The same politician operates in two different modes for the two tasks. The same political party shows one face to the people and another to capital. Winning elections may require lies and vulgarity, strife and riots, but to conduct affairs of the state requires the avatar of a vikas-purush (messiah of progress). It is often pointed out that lies repeated a hundred times appear as truths. Commentators who nurse anxieties about the recent political developments, and retain the courage to express them, caution repeatedly about continued usage of the Nazi propagandist’s stratagem. But this is not the full story. There is yet another weapon in the political arsenal of the unscrupulous. This one is far more poisonous and effective than hammering a hundred lies. It is the art of sending out dark messages to the public at large while sitting in the full glare of television cameras and moral-factual scrutiny. You can tear the message apart but you cannot stop the sender from sending it, nor prevent the recipient from receiving it. Take the example of Love Jihad. One can easily prove that it is nothing but a figment of imagination of an extremist mind. The facts and the arguments force the Hindutva spokesmen to dance around the issue and even disavow the exertions of their party and other outfits to turn it into the next emotive issue suitable for coming elections. The Home Minister of India, who is a multi-starred general of the Hindutva army and second-in-command of the present government, concedes that he does not know the meaning of the term. But all this does not count. The job is done; the purpose is served and the objective achieved; the message has been sent and properly received. A fear has been lodged and reinforced in many Hindu hearts that their young women may be lured into another religion and may deliver progenies belonging to that religion. It would be a mistake to think that such things are merely a mischief of the fringe elements. Indeed such a ‘mischief’ can turn a fringe element into a center-piece. 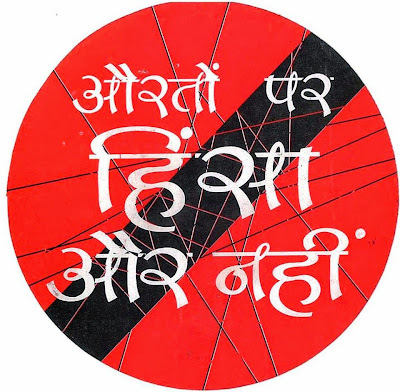 One may recall the slogan given by a would-be prime minister – Ame Paanch Amara Pachees – a variation on the family planning slogan of Hum Do Hamare Do, which was meant to describe a particular community. There was no need to verify if every man of that community had four wives with an average of six and a quarter offspring per wife. Such messaging is unstoppable because the recipients are hard-wired to receive them. The remarkable abilities of the brutes to manage polities such as India arise from the cultural wiring of the society. It is superficial to blame only the brutes for the brutalities. One must dig deeper into the cultural and civilizational soil and be honest about what one finds there.